It seems like cake making is on the rise. I got excited about cakes when I went to a Relief Society activity two years ago and a girl in my ward showed us her magic. To me cake making is two fold: cake aesthetic and cake taste. Let me first talk taste: You know those cakes that are just in a pan and your Mom put dinosaurs on them and served them up at the birthday party? You get a square on a paper plate and…bing! something just so good about it. Now remember that wedding you just went to with the perfect four foot cake and they only served punch and carrot sticks so you’re relieved when they cut the cake and you get a piece and…dang it. Dry. Tastes like wax. They nailed the cake aesthetic but the taste is…underwhelming at best. Well I think If you can master both then you’ve really got something. I’m still working on it BUT my sisters/sister-in-laws really nail it in the cake department. We get together for dinner every Sunday night with either my side or Mitchell’s and I’ve had some pretty amazing desserts in my time. SO I picked their brains for some of their go to taste amazing cake recipes and mine. Each and every one of these recipes is tried and true and you can’t go wrong with any of them so happy birthday and happy baking! This is one of my sister’s, Mindy, very favorites and it IS really good. When she was a young women leader she would make it into a beehive for each girl’s birthday and it was so cute. Had two of them send me this recipe. A goodie for sure. And I had four of my sisters independently send me the link to this. 5 Stars. 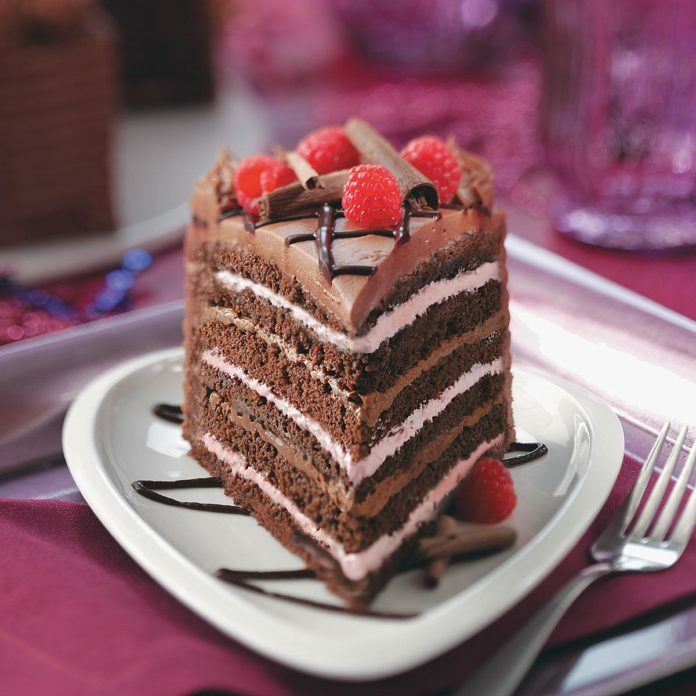 5,000 reviews so…you know this is a good one if you need a good classic chocolate cake. Recommended by my sister Katie, this is a good change up from classic chocolate cake. I love this cake. Very moist and flavorful. Another awesome chocolate cake. This one is a little bit darker than the other two. I love Tres Leches. Probably partly because I served my mission Spanish speaking in Kentucky among mainly Mexican people. I like this recipe but I usually just make it easier and use a white box cake and it’s just as good. My sister-in-law who makes wedding cakes and made this amazing cake for a wedding gift for our wedding, says that she likes the Barefoot Contessa cake recipes. Side note: if you happen to be at a party and in walks Haley Haller with her Coconut Lime Cake then even if you’re on the diet of diets you should take 5 minutes off and have a bite of it cause it’s amazing. My first time meeting Mitchell’s whole family she brought it and it might be the reason I married Mitchell (Just kidding Mitchell ;) Six Sisters Stuff cake recipes are a go to for Mitchell’s sister Lauren. ALSO, honorable mention goes to this Key Lime Pie recipe (that is not cake) that my sister Mindy brought to a party and it was amazing. If you have any cake recipe that you seriously love please put the link in the comments so that I can try it! I’m always on the hunt for a good recipe!